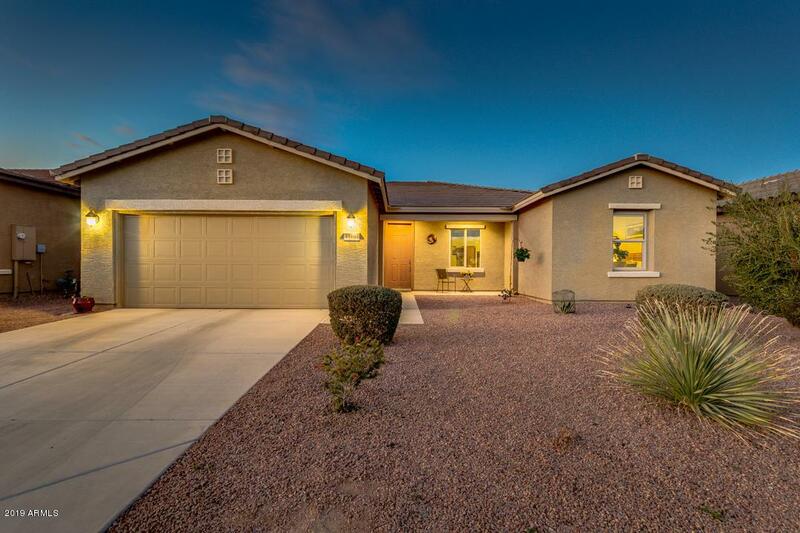 Spectacular MOVE IN READY HOME with an AMAZING resort style backyard to enjoy those gorgeous Arizona winter temperatures! This custom, gourmet kitchen includes beautiful 42''maple cabinets with crown molding and light rail, pull outs and under cabinet lighting. 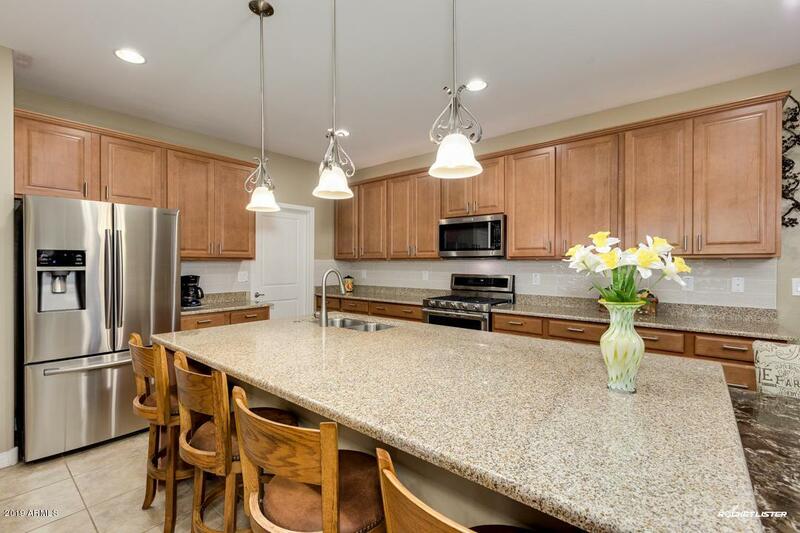 Granite countertops with tile backsplash, and gorgeous Kitchen Aid stainless steel appliances with gas cooking. Oversized kitchen island with extended Quartz table make this kitchen an entertainer's dream. 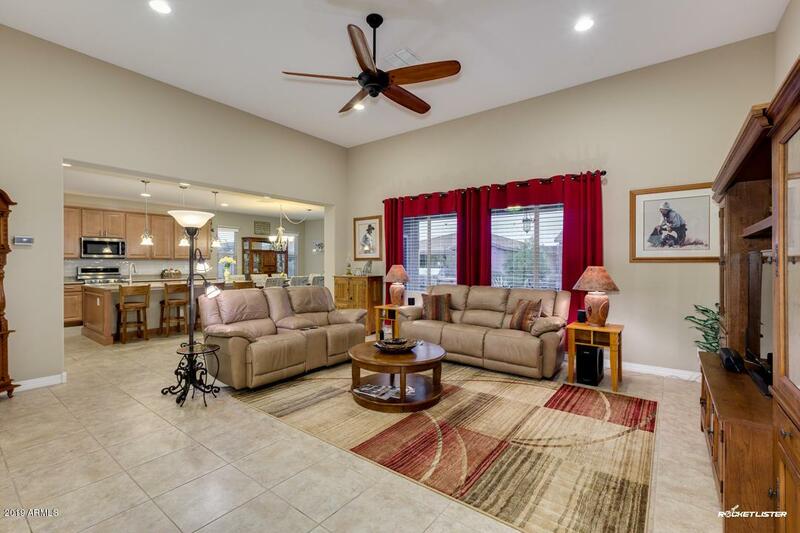 Great room concept with two master suites and a home office makes a perfect home whether you are a snowbird or a full time resident. 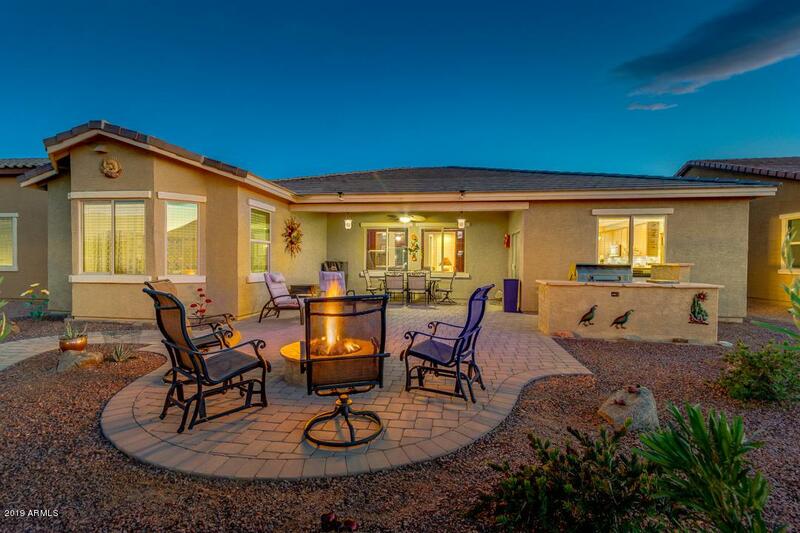 The backyard includes a spacious covered patio with a gas built-in BBQ, fire-pit, and extended paver patio. The garage includes a 4' extension, epoxy floors, and built in cabinets. Cap Imprv Impact Fee 654.